Minister of Defence of the Russian Federation General of the Army Sergei Shoigu had a meeting with Chairman of the Chinese People’s Political Consultative Conference Yu Zhengsheng. According to General of the Army Sergei Shoigu, the parties have reached the volume of annual implementation of contracts for 3 billion dollars. All of the contracts are implemented within bilateral military and technical cooperation. In his turn, Yu Zhengsheng noted that the parties had signed several documents and agreements in course of the 21st session of the Russia-China intergovernmental commission on military and technical cooperation. According to Yu Zhengsheng, Russia has been paying much attention to development of military and technical cooperation with China. “We appreciate it,” stressed Yu Zhengsheng. MOSCOW, March 29. /TASS/. Chile’s capital Santiago on March 29 – April 3 is hosting the 19th international aerospace show FIDAE-2016, one of the largest in Latin America. Russia is represented by fifteen organizations and weapons makers, including Rosoboronexport, Almaz-Antey, MiG, Helicopters of Russia and Bazalt. A total of 365 selections from Russia’s arms manufacturers are on display. Latin America these days is one of the main markets for Russian defense industry products. Details of the largest contracts for the supply of Russian weapons and military technologies to the countries of the region – in this special info bulletin from TASS. Venezuela is the largest buyer of Russian weapons in Latin America. In 2005-2013 the Russian exporter of military hardware Rosoboronexport concluded about 30 contracts $11 billion worth with the Venezuelan Defense Ministry. 92 Т-72B1 main battle tanks. Also, Russia provided several hundred portable shoulder-launched Igla-S anti-aircraft missile systems, BMP-3 mechanized infantry combat vehicle, armored personnel carriers and other equipment. Some of the weapons were purchased on credit. In 2009 an agreement was concluded with Venezuela to extend a $2.2 billion loan, and in 2011, another one on a $4 billion loan. In the autumn of 2015 the Venezuelan Defense Ministry said the government had allocated $480 million for purchasing 12 Sukhoi Su-30 multi-role fighters with the aim to build up the strength of the national Air Force. Nothing has been said since if the contract has been concluded, though. TASS military analyst Viktor Litovkin believes Russia owes most of its contracts with Venezuela to the late President Hugo Chavez. It was after Chavez’s election that the United States froze all military-technical cooperation with Caracas, in particular, the supplies of spare parts for the F-16 fighters of the Venezuelan Air Force. 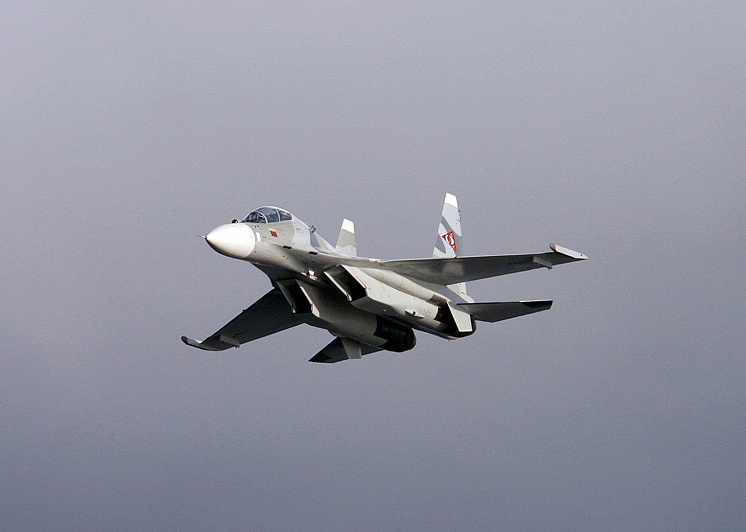 In 2008, the Russian aircraft-building corporation MiG and Peru’s Defense Ministry concluded a $106.7 million contract for upgrading 19 MiG-29 fighters (the project was completed in 2012). The same year, Peru purchased from Russia a large batch of Kornet-E anti-tank systems worth $23 million. In 2011, Russia supplied to Peru six Mi-171Sh combat-transport helicopters and two Mi-35P attack helicopters. The contracts’ aggregate value, technical support included, totaled $107.9 million. In 2011-2012, Russian industries upgraded seven Mi-25 helicopters (export configuration Mi-24D – TASS) under a $20-million contract. 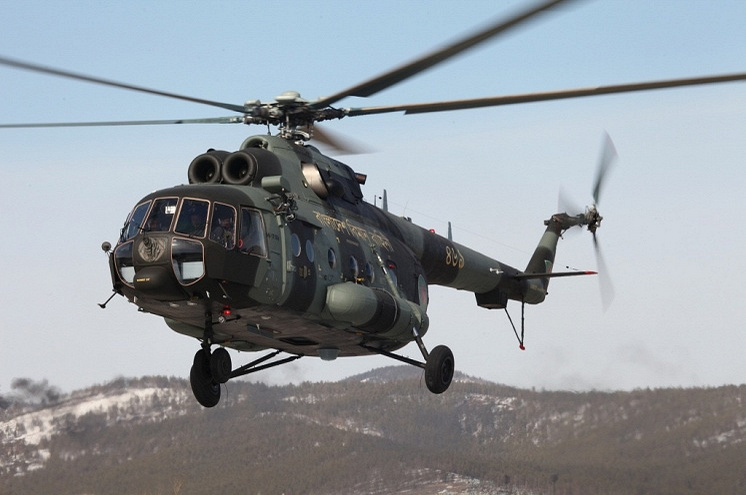 In December 2013, Peru concluded a deal with Rosoboronexport for purchasing 24 military-transport helicopters Mi-171Sh. The contract was unofficially estimated at $400-500 million. The helicopters were provided in 2014-2015. The contracting parties also agreed to open a helicopter maintenance and repair center in Peru in 2016. Mi-171 is an upgraded configuration of one of the world’s most popular helicopters Mi-8. More than 12,000 of these have been built by now. It boasts a more powerful engine: 1,900 hps against Mi-8’s 1,500 hps. Its maximum altitude is slightly greater. In all other respects the helicopters are identical twins: both are universal and combine transport and combat functions. They are robust and sturdy, easily withstand the highly humid tropical climate and are easy to repair – which is exceptionally important in Latin America. They are as reliable as the Kalashnikov rifle and low-priced in contrast to the United States’ AH-64 Apache and S-61/SH-3 Sea King. In 2008-2012, Brazil purchased from Russia $306 million worth of weapons, including Mi-35 attack helicopters (for an estimated $150 million). In accordance with the terms of the 2008 contract Brazil was to have all twelve helicopters by 2013, but due to financial and technical problems the last three of them were delivered in November 2014. The agreement also envisaged the supply of a training simulator and logistics support. In 2010-2012, Brazil purchased 300 missiles and 64 launchers of the portable Igla-S anti-aircraft system and a small batch of Russia’s Tigr armored vehicles. In December 2012, the holding company Helicopters of Russia and Brazil’s Atlas Taxi Aereo S. A. signed a contract for the supply of seven multi-role Ka-62 helicopters. The value of the contract was not disclosed. Delivery date – 2015-2016. The Spanish language portal www.infodefensa.com says that Brazil in January 2016 received a batch of 60 missiles and 26 portable anti-aircraft launchers Igla-S. The contract was apparently signed in 2014. Its value is unknown. In 2011, two helicopters Mi-171 €20 million (about $27 million) worth were handed over to Argentina. In 2013, at the MAKS-2013 air show the holding company Helicopters of Russia and Colombia’s Vertical de Aviacion concluded a contract for the supply of five Mi-171A1 helicopters and five Ka-62 helicopters. The contracts’ value was not disclosed. Earlier, Colombia purchased four Mi-8/17 helicopters in 2006 and five in 2008. According to the Center for Analysis of World Arms Trade Russian attack helicopters are in stable demand on foreign markets: in 2010-2013 Russia exported 65 such aircraft $1.799 billion worth. In 2014-2017 the expected deliveries may reach 92 new helicopters $4.078 billion worth, including Mi-28N attack helicopters, Mi-35M multirole combat-transport and heavy Mi-26 transport helicopters. TASS military analyst explains why helicopters and other air technologies are in the greatest demand in Latin American countries.